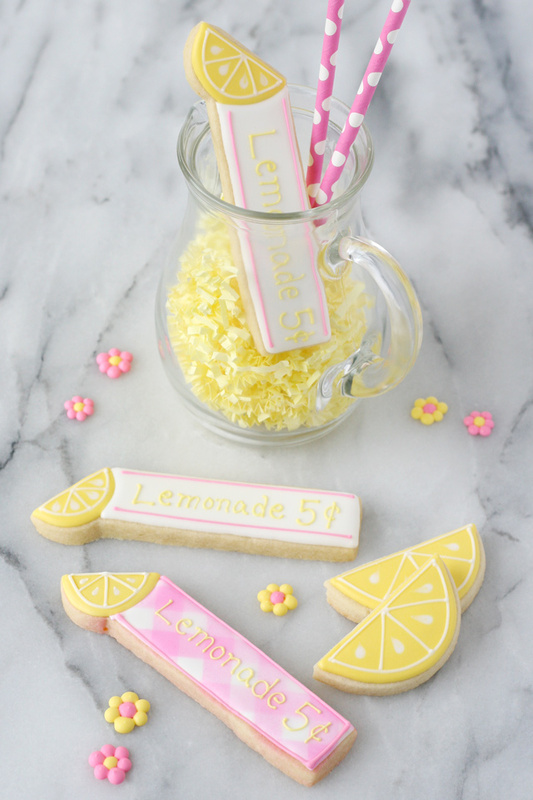 Let’s celebrate with a cold glass of lemonade and these cute Lemonade Cookie Sticks! Now if you’re asking… “what’s a cookie stick?” I’m simply referring to this style of long, thin rectangle cookies. 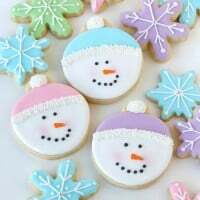 They seem to be all the rage in the cookie world, and for good reason… they’re cute, easy to package and the design options are endless! I’ve shared some Simple Valentine’s Cookie Sticks as well as these tasty Salted Butterscotch Cookie Sticks here on the blog, and also shared little peeks of other cookie sticks I’ve made on Instagram like these Fiesta Cookie Sticks (using the same cutter as I’ve used in this post) and these pretty Luau Cookie Sticks. Gingerbread Men Cookie Sticks by Munchkin Munchies. 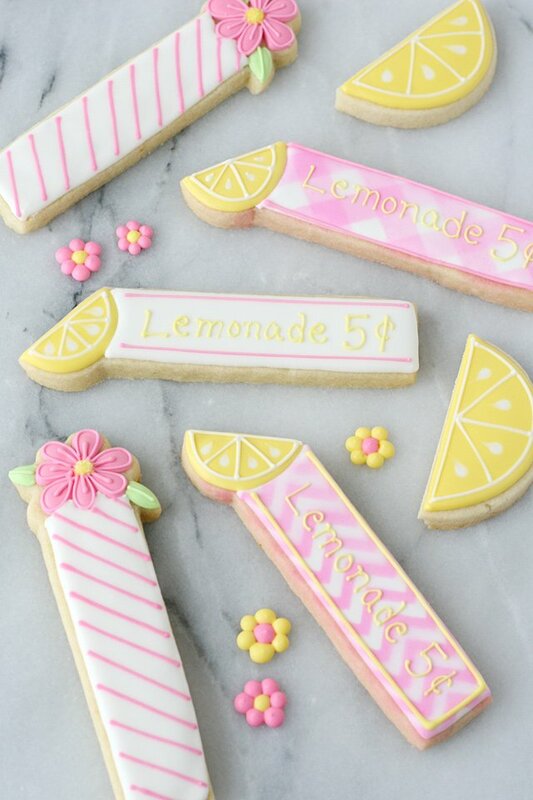 These Lemonade Cookie Sticks were made using cutters I designed for Truly Mad Plastics (not a paid endorsement, I just like them and they like me). You can find the Fruit Slice Cookie Stick Cutter and the Flower Cookie Stick Cutter in their shop, or feel free to just use these cookies as inspiration for your own variations. 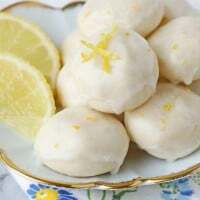 Rolled Sugar Cookie Recipe – Certainly feel free to add some fresh lemon zest (1-2 teaspoons) to the cookie dough in keeping with the lemon theme. Royal Icing Recipe and Simple Tutorial – If desired, add 1-3 teaspoons of fresh lemon juice to the royal icing to add some fresh lemon flavor. For the cookies shown, I started with the accents on the end of the cookie stick (either the flower or the fruit slice) and once those areas had set up a bit, I outlined and flooded the remainder of the cookie (the “stick” portion). 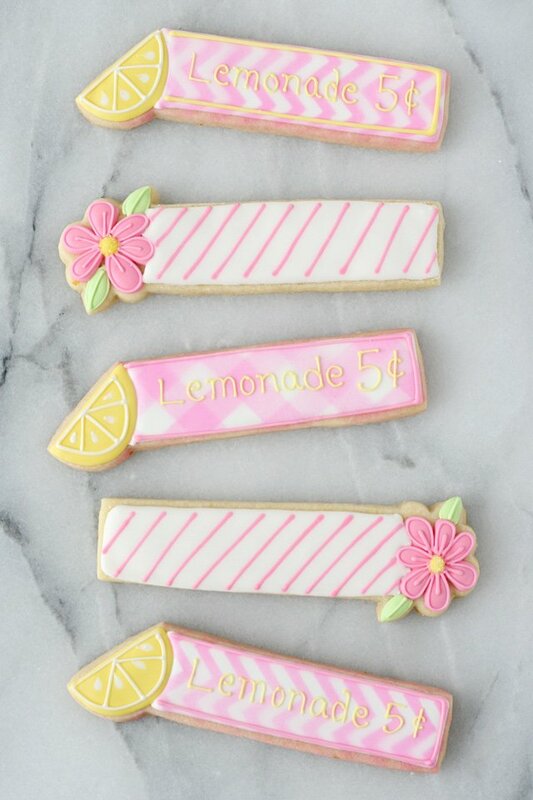 For the Lemon Slice Cookie Sticks (or simply the lemon slice), outline and then immediately fill in the the half circle shape with medium/flood consistency yellow icing. To add seeds, immediately add a dot of white icing (medium/flood consistency) and then drag a toothpick from the center of the dot toward the center of the lemon (so the seeds now point to the center of the lemon). To outline the lemon segments, use a thick/outline consistency icing either while the yellow icing is still wet, or after it’s set up (depending on if you want the lines to lay flat in the yellow icing, or sit on top of it. Certainly, this cutter and general design could be decorated as a lemon, orange, lime or watermelon slice. I’d love to see any fun variations you come up with! Please feel free to share photos on my Glorious Treats Facebook Page or tag @GloriousTreats on Instagram. These are sooo cute! Kids will surely love ’em! Seriously cute cuteness! ! ! I love lemonade. I love cookies. I love your spectacularly decorated cookies. So, when can I come by for my treat? ? ? These are just darling, Glory! Your family is sooooo lucky! Thanks so much Sherrill! Your sweet comments always make my day! Glory: These are super adorable and fun! 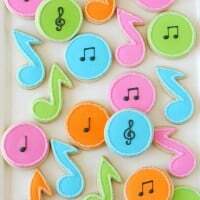 I love your cute cookie decorating style! Thanks for sharing! Very cute. How did decorate the cookie stick to look like gingham? I just received my cutter in the mail and can’t wait to make the cookies! 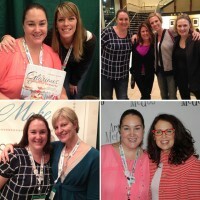 Thanks for the mention of/ link to my ginger sticks, Glory!!! Yay! I’ll look forward to seeing what cuteness you come up with! Too cute! I absolutely love the tiny lemons at the end of some of the sticks! 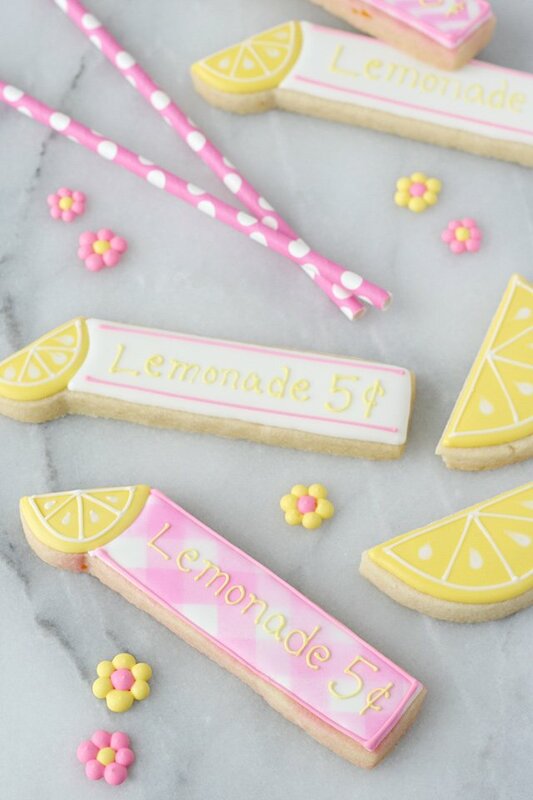 Where is the recipe for these LEMONADE COOKIE STICKS? Can’t wait to make them. Thank you. The recipe is linked in the blog post above (where it says “Rolled Sugar Cookie Recipe”). Happy baking!